WHAT: The University of Missouri and the Columbia Chamber of Commerce will host a grand opening and ribbon-cutting ceremony to celebrate the opening of the Family Impact Center. The family friendly event will include tours of the center, Truman the Tiger, hamburgers and hotdogs, and carnival-themed games. To download broadcast-quality video, go to http://muextmedia.missouri.edu/munews/. The MU Family Impact Center is a university-wide effort to bring educational programs off campus to best meet the needs of the Columbia community. The Family Impact Center strives to support individuals through education so that they can lead healthy, productive lives. 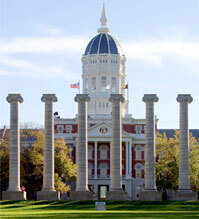 In addition, many programs provide MU students the opportunity gain practical experience in the community. Currently, the Family Impact Center houses MedZou, which uses MU medical student volunteers to provide free, basic medical care; MoTax, which uses MU Extension faculty and students from the MU personal financial planning department in the MU College of Human Environmental Sciences to provide free tax preparation and basic personal financial planning counseling and information; and the MU Social Services Clinic, which uses graduate students in the MU School of Social Work in the MU College Human Environmental Sciences to provide free mental health consultation and group therapy. Numerous MU Extension programs will be offered at the Family Impact Center as well, including the launch of the Building Strong Families, Stay Strong Stay Healthy and Eating from the Garden programs. Building Strong Families helps families find their strengths, build on those strengths, and learn skills to create stronger families, improve relationships and increase communication. Stay Strong stay Healthy teaches older adults’ safe, structured and effective strength training. Eating from the Garden helps kids improve their eating habits by giving them green thumbs. NOTE: The event is free and open to the public. For more information visit: http://www.mufamilyimpact.org/.